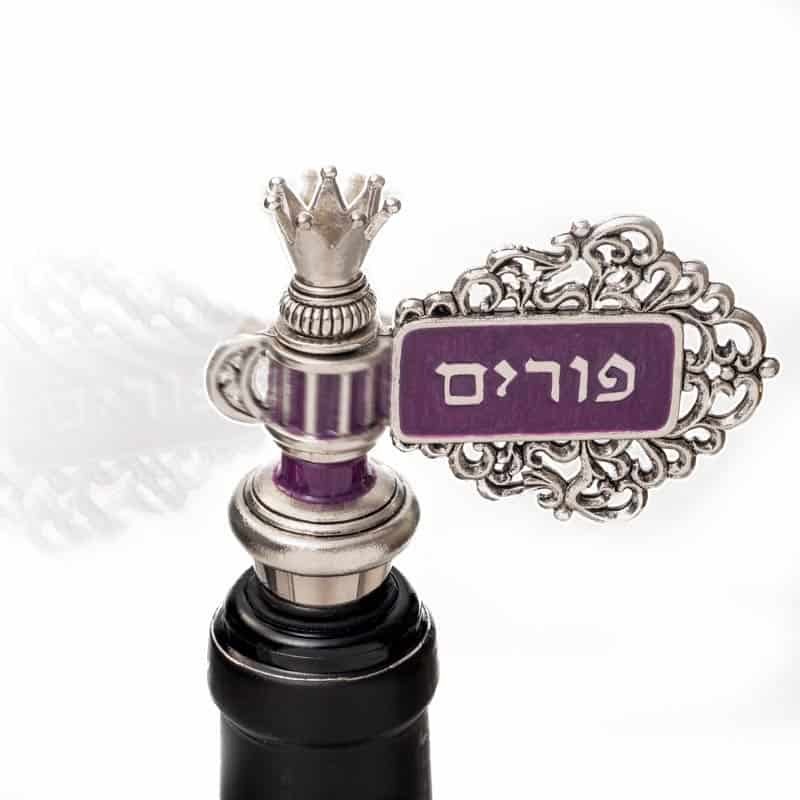 This festive Purim grogger wine stopper was designed exclusively for the Kosher Gift Collection by Quest Judaica, and proudly made in America. Unique in all the world, this perfectly-balanced creation spins just like a grogger as it sits atop your favorite wine. 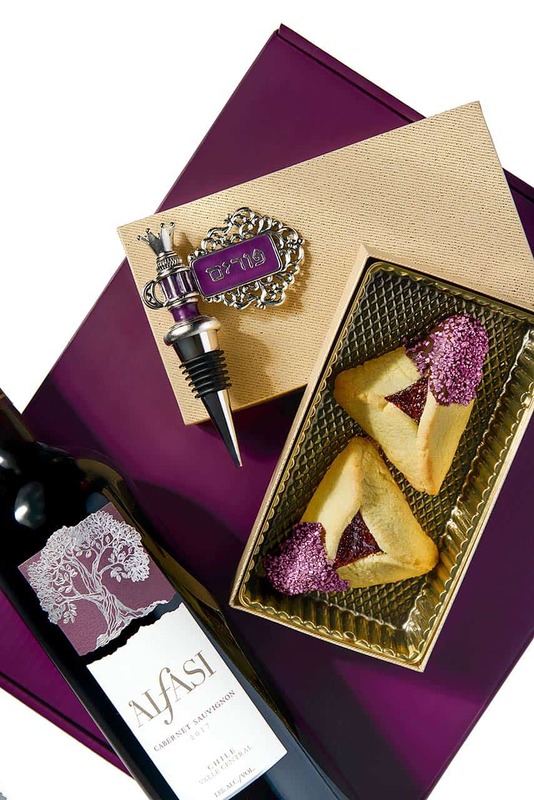 We’re pairing it with a bottle of Cabernet Sauvignon and chocolate-dipped hamentaschen. 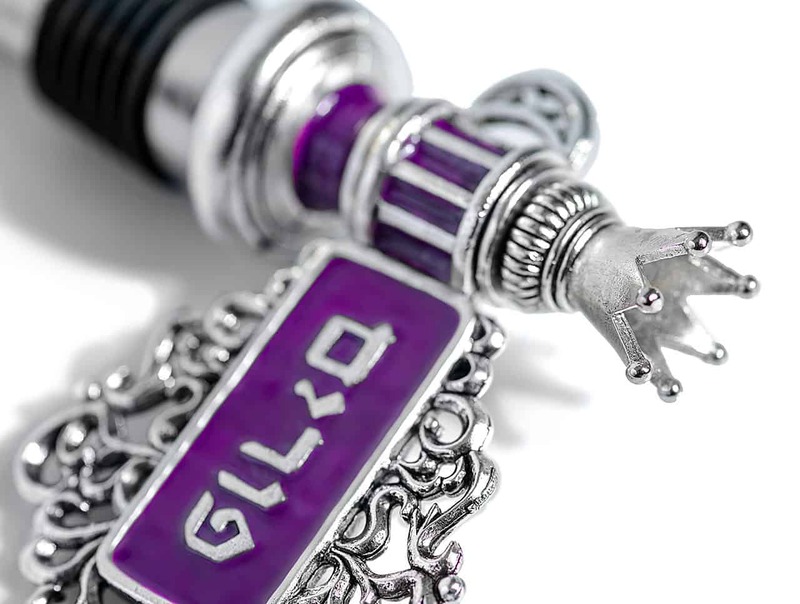 The Silver Grogger Wine Stopper Gift Set arrives in a stunning purple box with a matching velvet bag to store the wine stopper when it’s not in use. It’s a beautiful presentation that is sure to please. Silver Grogger Wine Stopper Gift Set measures 13”H x 10”W x 4”D. All gifts are shipped close to the holiday. Hamentaschen are individually wrapped for freshness.